Tori Longdon studied at Durham University and the Royal Academy of Music, where she was awarded a distinction for her MA in Choral Conducting. She now conducts a number of ensembles around London including Woking Choral Society, Myriad Singers and the Lea Singers of Harpenden. She is the Founding Director of Consort of Voices (previously Templar Scholars), a professional choir that has sung in venues such as St John’s Smith Square, St Martin In The Fields and Southwark Cathedral. They have also performed for the Duke and Duchess of Cambridge and President Xi Jinping of China during his state visit to the UK. 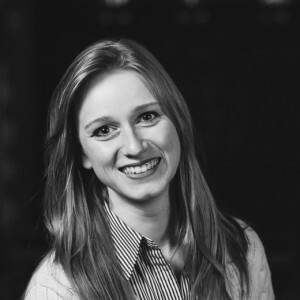 Tori is a passionate advocate of classical music and music education in all its forms, working regularly with young singers both as a conductor for NYCGB (the National Youth Choirs of Great Britain) and the Hertfordshire County Youth Choir. She also teaches at Junior Guildhall and coaches voice for the Royal Schools of Church Music and the Voices Foundation. Internationally, recent projects have taken her to Poland and China, where she is currently managing a year-long weekly programme of Kodály-based choral tuition alongside arranging conducting masterclasses by visiting British conductors. Tori is currently an adjudicator for Songs of Praise’s ‘Young Choir of the Year’ competitions and she appeared as a judge on two series of the ‘The Choir’ with Gareth Malone. She writes regularly for ClassicFM’s online magazine.